Some unsuccessful candidates in the Russian presidential race say the poll was not fair and they will never recognize the results. All agreed that the winner, Vladimir Putin, will have a hard time when he tries to fulfill the promises made to voters. After the polling stations closed all over Russia, the Central Elections Commission (CEC) announced early results of the voting, saying that Vladimir Putin had won in the first round with almost 64 percent of the votes. Other participants in the voting spoke of the results on television. Gennady Zyuganov, the leader of the Communist Party, who came second with just above 17 per cent of the votes, blasted the elections as unfair and illegitimate. “As a candidate, I cannot recognize the poll as honest or fair or decent,” Zyuganov announced on television. “Fair elections presuppose that the huge state machine is working to ensure that everything is done strictly according to the law, that all candidates have equal conditions in their election campaigns. In this case, our entire huge, criminal and corrupt state machine was working for one candidate only,” Zyuganov stated with bitterness. The communist leader promised to step up the pressure on the authorities in three directions – in street rallies, in intellectual discourse and also on the organizational front of the opposition politicians.At the same time, independent candidate Mikhail Prokhorov, who came in third with the surprisingly high result of over 7 per cent, called for his colleagues and competitors not to hurry with the announcements that the poll was illegitimate. “What about those people, millions of people who voted for me? Shall I abandon them? It is a very subtle question,” Prokhorov said. 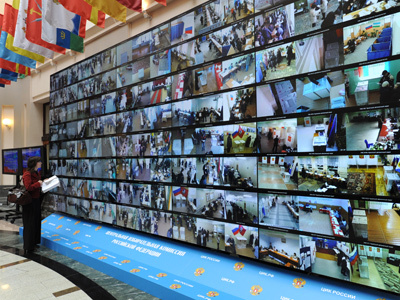 “We shall not start hysteria, but sit down together and work on every particular case of violations, press for the cancelation of results and make sure that criminal cases are started over this,” he noted, adding that the observers who were registered with his elections HQ reported over 1,000 violations. Prokhorov denied that he was happy with the third place, saying that for him “there is only one place – first.” However, the candidate said he was satisfied with the performance of his team. 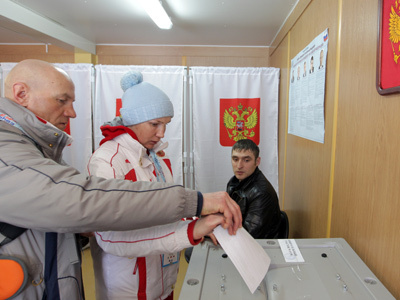 Vladimir Zhirinovsky, the leader of the Liberal Democratic Party who is expected to come fourth with over 6 per cent of the vote, also said that violations at the poll were numerous and complained that the monitors registered with his party had faced rough treatment at several stations in various Russian regions. 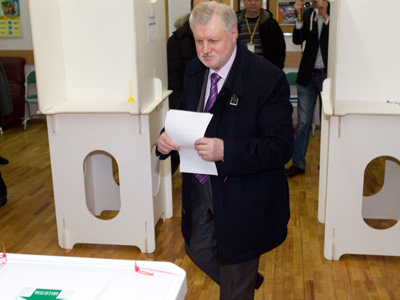 Sergey Mironov of the Fair Russia party, who came in last with less than 4 percent of the vote, did not complain, but said that the winner will now have to fulfill all the promises he made during the campaign or he should leave the post before the legally-defined term of six years.